Baked Cheese Haus is a Wisconsin specialty and artisanal cheese company where we offer cheese like our unique Juusto “Baked Cheese”, a Scandanavian-inspired delicacy. 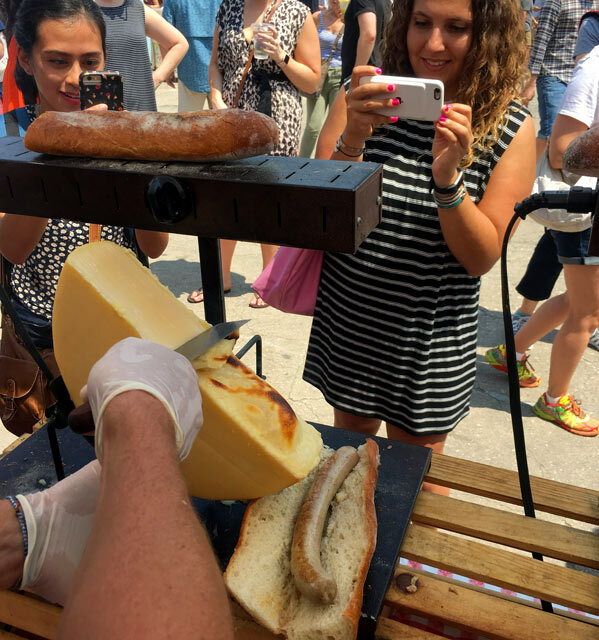 We travel the country participating in the best fairs, festivals and holiday markets to offer our cheeses, the Swiss Dog and more to you. 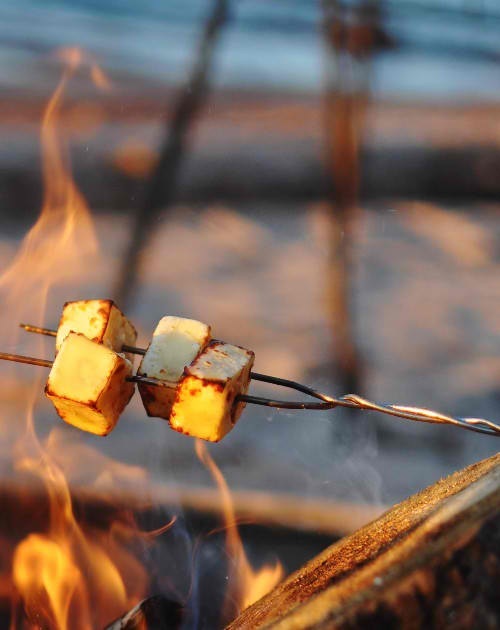 Our Baked Cheese is best served warm, and so can be grilled over a flame or heated on an indoor griddle. Once heated, the cheese caramelizes, becoming crispy and sweet on the outside, soft and buttery on the inside, but does not lose its shape. We offer several flavor varieties, such as Original, Smoked Bacon, Cranberry Cinnamon, Garlic, and Jalapeno. They make for a great appetizer or cheese plate, drizzled with something sweet or savory, such as honey or maple syrup, hot pepper jelly, or garlic infused olive oil. 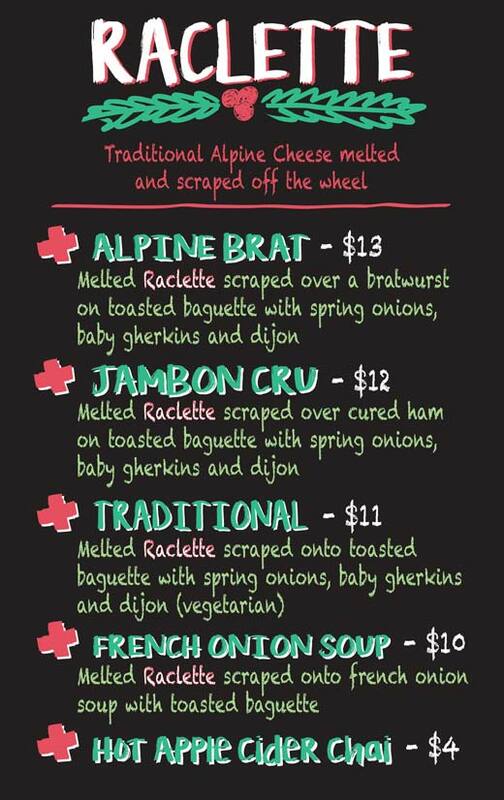 We offer Swiss-style Raclette at many of our events and festivals. We melt half wheels of Alpine cheese under traditional Raclette warmers, and scrape the cheese over boiled potatoes, on to toasted baguettes, even onto frankfurters for a one of a kind Swiss Dog. The cheese is luxuriously rich and gooey, making for a great comfort food, especially at festive Christkindl Markets in the cold. And to go along with our warm cheeses, we serve fresh pressed Hot Honey Crisp Apple Cider.